Talkdesk, the provider of cloud-based contact center software, has raised $100 million in new funding. The round values the company at north of $1 billion. The company, which uses artificial intelligence and machine learning to improve customer service, targets mid-market and enterprise businesses, counting IBM, Dropbox, Stitch Fix and Farfetch as customers. With Talkdesk companies with millions customers can allow each customer to connect with a company in the best way possible. Having received a call customer service agent can see what products the cutomer bought, what her tastes are, what she has complained about before. 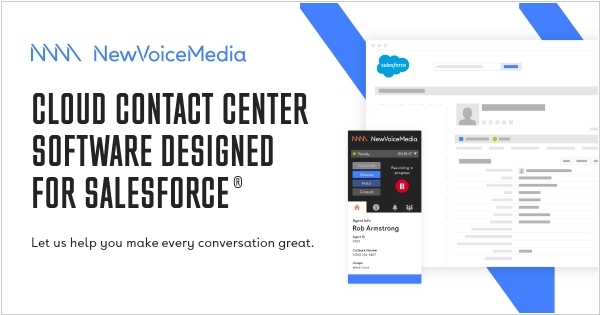 Cloud-based unified communications provider Vonage acquired NewVoiceMedia, a UK startup that builds cloud-based contact center solutions, for $350 million in cash. On the other hand, the deal will help Vonage increase the services it provides, and thus the margins it makes, in a wider suite of value-added IP services — which today include office phone systems, marketing automation and an existing call center solution, as well as MPLS and other IP services. Specifically, it gives it the platform to integrate also more deeply with other software providers like Salesforce, an important part of how Vonage sells its services to would be customers. Vonage claims NewVoiceMedia is the largest privately-owned, pure-play, cloud contact center company globally, with some 700 customers mostly in the mid- to large-enterprise range, including Adobe, Siemens, Time Inc., FundingCircle, and Rapid7. 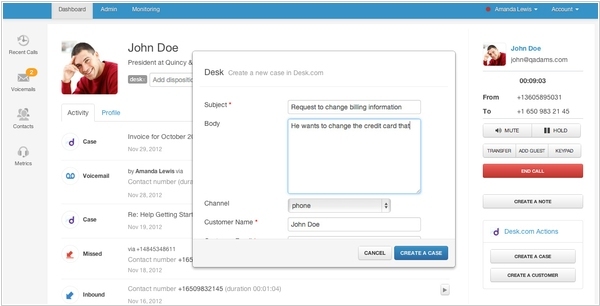 Talkdesk, which creates software that helps companies create virtual call centers has raised $15 million. 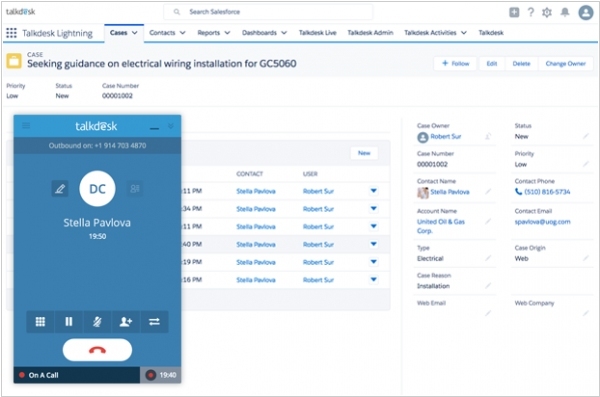 Companies use Talkdesk to create centers where customers can call into in order for assistance and feedback. Those calls are connected to internal company databases like Salesforce and Zendesk, which bring up all the relevant information about a caller in order to help a customer service representative better resolve the issue or route that customer to the best person. For example, when someone calls customer service and the call is routed through Talkdesk, the software automatically puts information about the caller in front of the customer service representative. Examples of that would be order details, how much that person usually spends, their name, or other bits of information that are useful to representatives that help them more quickly resolve an issue. 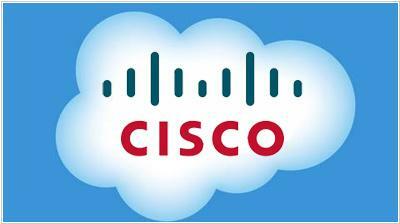 Following the release of the business-oriented tablet, Cisco has invaded another new for them Enterprise 2.0 sphere - today the company announced the availability of the cloud platform Cisco Hosted Collaboration. However, the platform is very specialized - it's intended only for hosting of Cisco's solutions: Cisco Unified Communications, Cisco Telepresence, Cisco Unified Contact Center and Cisco Quad. And the hosted applications will be managed not by the customers themselves and not by Ciscom but by Cisco's partners. The platform will provide partners with a virtualized environment where they can quickly install multiple application instances on single server and offer them to multiple customers. Of course, this scheme will make Cisco's solution implementations less expensive and long-term, and will allow the partners to provide a subscription model.